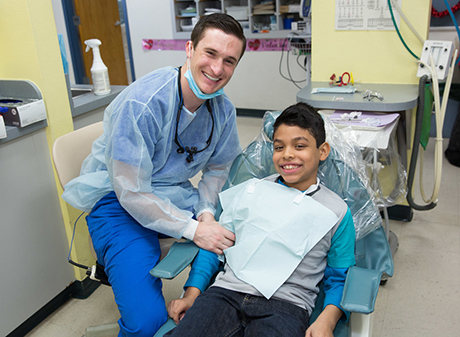 We provide comprehensive dental care and orthodontics for children. If you are seeking treatment for a child patient (ages 3 to 18), please call our clinic at 602.261.6842 for more information. We accept patients with no insurance as well as those with KidsCare or AHCCCS. Visit our adult dental program page for instructions on getting treatment for adults.